(1) Smart Contract: Transaction records, account information and world status data integration basically completed, under testing and demonstration. (2) inWallet3.3.0: Re-optimize the data processing process based on consensus, finish 70% of the company's internal testing (Testnet & inWallet). (3) Mainnet testing: Optimize cross-chain processes and UI interfaces, fix internal testing bugs. (1) We modified some regular details. A. The new UI design. a. Add a leading global technical indicators sector. b. Optimize technical character part. d. Add news center sector. 1. We cooperated with several major exchanges and implemented the technical issues. 1. Activity: Happy Laba Festival – INVE For Free! InterValue held the activity- Happy Laba Festival – INVE For Free from January 11th to 13th, 2019. The majority of the community members participated in the event. At the same time, the event rewards have been sent to the members’ ETH address. With the persistent development of the project. InterValue gets into the eco-construction phrase. On the purpose of the “Mutual Trust, Community Autonomy” InterValue eco-construction foundation officially published the “InterValue Ecosystem Construction Foundation Principles and InterValue Ecosystem excitation Policy” (Hereinafter referred to as “Policy”). This policy will mainly be used to describe the operation rules and eco-construction excitation mechanism, applicable for all InterValue eco-construction participator. Download link to the " Policy "
(2) From September to October in 2017, InterValue created a team and refined the functions. 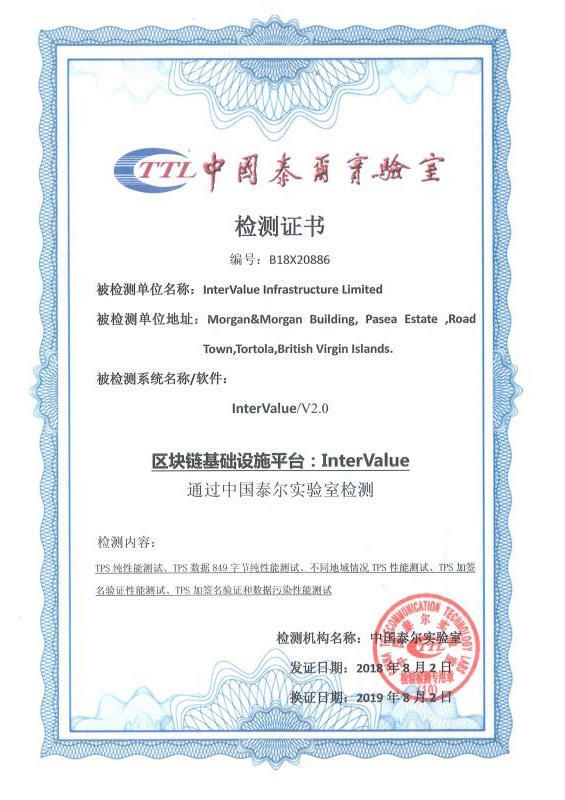 (17) In August 2018, InterValue officially established Blockchain Security Division.